Miller Econo Tig 100 only welds on High..needs circuit board repair? A friend has a Miller Econo Tig (100? )...the welder amp adjustment seems to be stuck on high (100 amp). 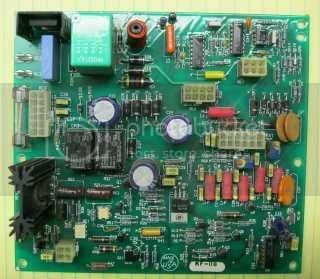 Circuit board assembly Number is 164431...any sources that could repair the board for him...any idea of the cost? Can you post a close-up photo of the circuit board? I'll try to get a pics in the next day or so. Last edited by BOWTIEGUY; 01-20-2013, 02:55 PM.